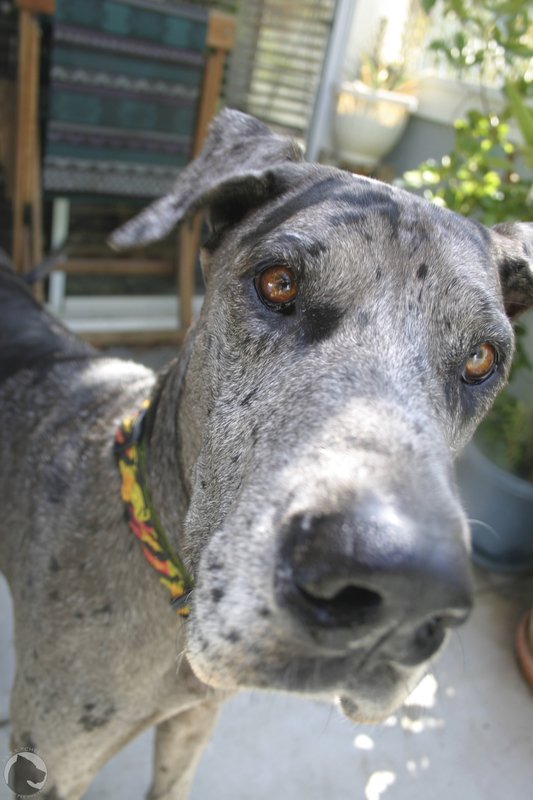 Selar was our first Great Dane, a harlequin. We adopted her in 2001 and she was probably 4-ish at the time. Her story was that her family moved across the country and couldn’t move her with them. As it turns out she loved to travel. 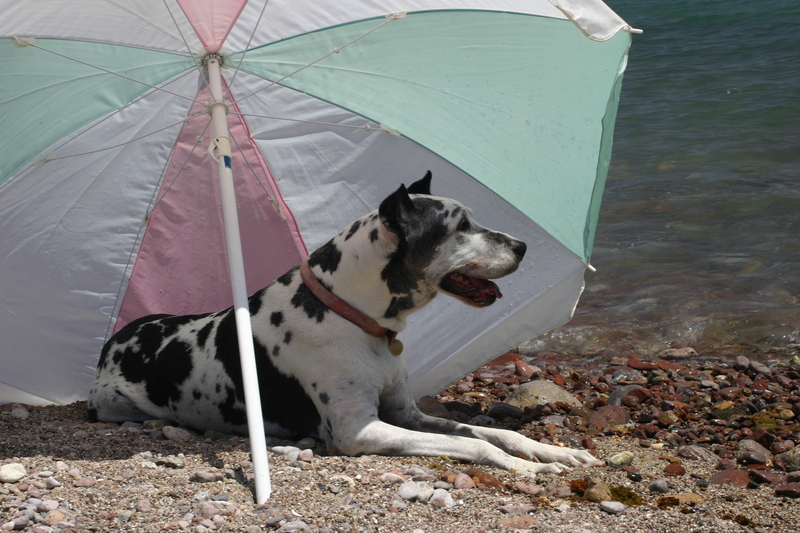 She traveled through 11 states, 26 National Parks and Monuments and is seen here enjoying the beach in Baja, Mexico. She went hot air ballooning in Temecula and rafting down the Rogue River in Oregon. She is my inspiration for my “Have Dane, Will Travel” blog posts. 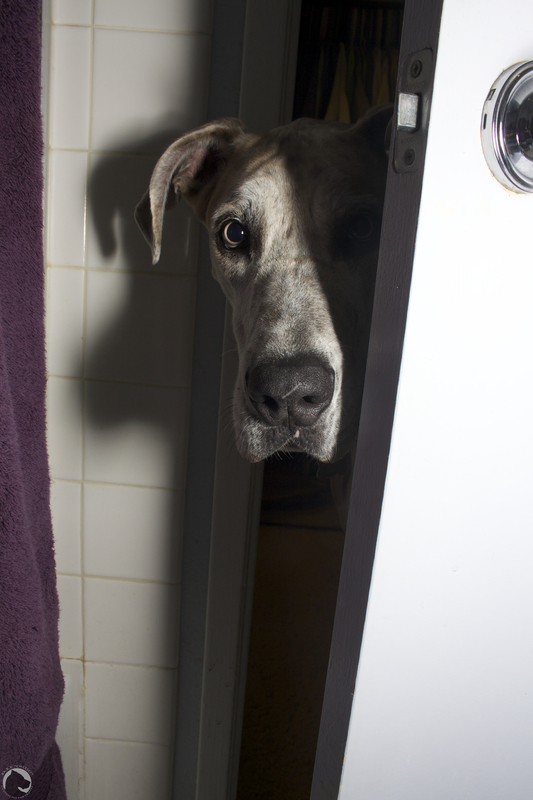 Varel is a merle Dane who we adopted at 1.5 years old. Her family had to put her up for adoption because they needed to move from rural San Diego to downtown and could only find a rental that took one dog so they kept her brother figuring it would be easier for her to find a home than for him, he had a condition which required minor but repeated treatment. She logged 3 balloon flights, enjoyed kayaking, and playground climbing walls and slides. K’Ehleyr is our youngest. She needed a new home because her first mom couldn’t keep her. Varel was not dealing well with losing Selar and we thought she needed a dog of her own so we took her in. She doesn’t like ballooning very much, has trouble sitting still in the truck and hogs the bed. She is clumsy and accident prone but she does like swimming and she loves digging and flirting with boy dogs. She has a unique color and character to match. She checks the bathroom everyday to see if the cardboard center to a toilet paper roll is sitting by the door to be recycled. They are one of her favorite toys. You can follow their adventures in my “Have Danes, Will Travel” posts. K’Ehleyr shares a passion with Tinker the kitty. The girls are beautiful, love a traveling Great Dane. Is that a passion for toilet paper centers? The two mixed breeds here love those toys too. But then they eat them, so they’re strictly brought out under supervision. K’Ehleyr doesn’t eat them, she just leaves a mess. She had a good time with a cardboard egg carton the other day. She also loves to pop bubble wrap.